Please click on the Volunteer Instruction attachment below for additional volunteer instructions. Volunteers must be 16 years or older. Volunteers will serve food, beverages and clean tables. Volunteers must be 16 years or older. Will direct and cheer on participants throughout the course. Volunteers must be 14 years or older. Volunteers for the festival activities will be in charge of running various games for kids of all ages and abilities. Volunteers will fill cups, hand out water to race participants and assist with course clean up. Volunteers will assist the children in making their bibs for the kid's run. 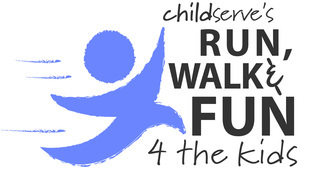 You can stay and help with the Kid's Run. Volunteers must be 14 or older. Volunteers will help mark the age groups or hand out medals at the finish line. Volunteers must be 14 or older and be able to stand for 45 minutes. Volunteers will collect the tickets and help the children pick out prizes. The volunteers will also help set up/tear down. Volunteers must be 18 or older. Volunteer will help set up the water area and keep it stocked with ice and water through out the event. Must be able to lift bags of ice and packages of water by the fesitval area. Volunteer must be 18 or older.